5th Annual Ugly Sweater Karaoke Bash! 'Tis the season to rock ugly sweaters! 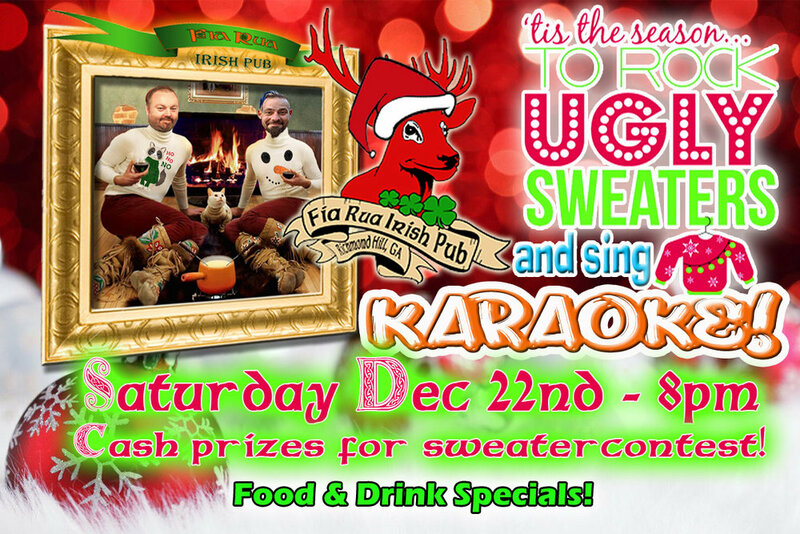 If you think you have the UGLIEST sweater, wear it to the Ugly Sweater Party at Fia Rua on December 22nd starting at 8PM! Look silly in your sweater as you rock out to LIVE MUSIC! Prize for the UGLIEST and FUNNIEST sweater plus food and drink specials so join us as we celebrate the holidays! 21 and over event.